Want climate news in your inbox? Sign up here for Climate Fwd:, our email newsletter. 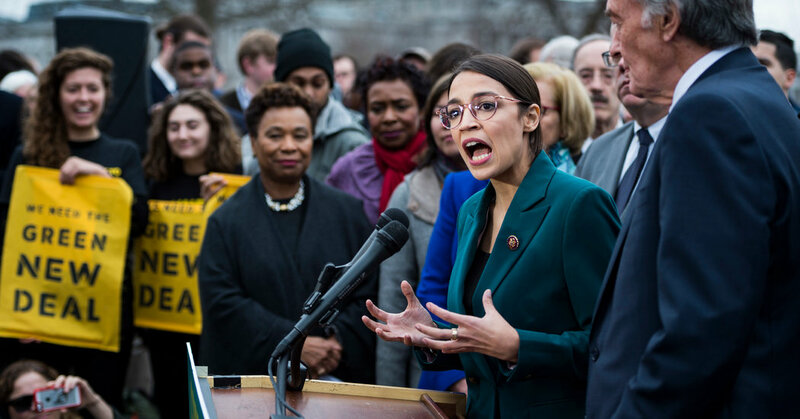 WASHINGTON — Days after introducing her Green New Deal — a plan to combat climate change that has won the endorsement of several Democratic presidential candidates — Representative Alexandria Ocasio-Cortez found the proposal enmeshed in confusion when her staff published a summary that included provisions not endorsed by the candidates.